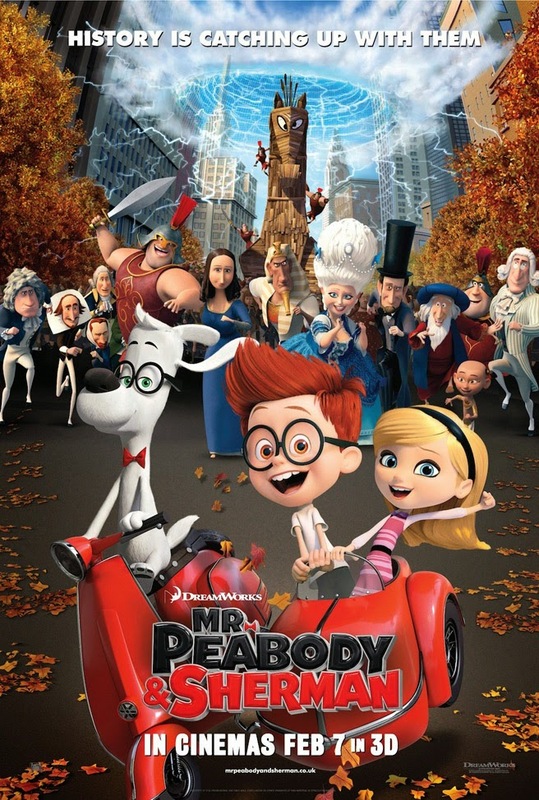 After a second place opening weekend,"Mr. Peabody and Sherman" made the climb to number one at the box office for the weekend of March 14-16, 2014. DreamWorks' animated adventure comedy scooped up $5.5 million on Friday and will end the three day period with a total take of $21 million. Landing in the second spot by a hair is last week's number one, "300: Rise of an Empire," which nabbed a $5.7 million on Friday and garnered a weekend total of $18.8 million. Aaron Paul's new action flick "Need for Speed," which had a $6. million opening day and is expected to end the weekend with $19 million. Rounding out the top five in earmarked earnings are Aaron Paul's new action flick "Need for Speed ($ 17.3 million) in third, Liam Neeson's action film "Non-Stop" ($10.5 million) in fourth and Tyler Perry's latest comedy "Single Mom's Club" ($8.3 million) in fifth.